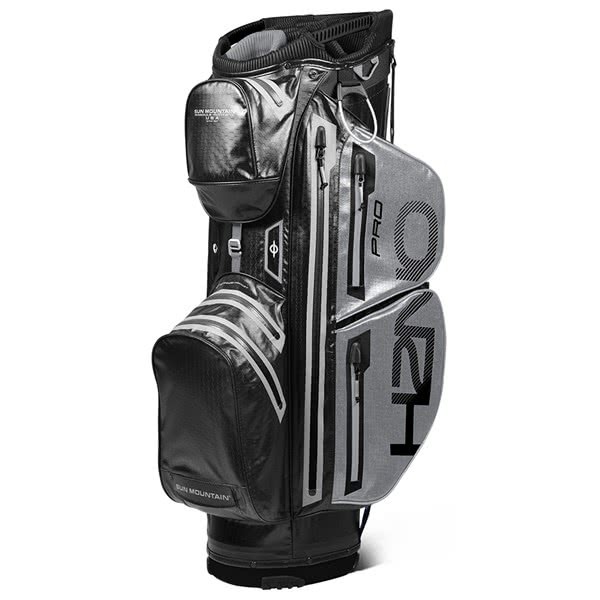 Sun Mountain have designed the H2NO Pro Cart Bag for the golfer wants to maximise storage and protection against the elements. 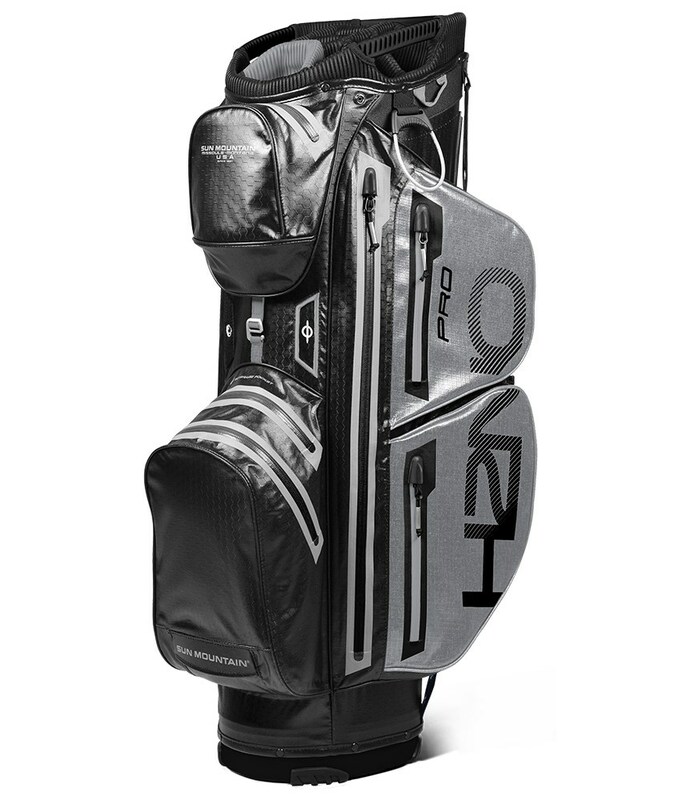 A total of nine pockets have been used in the design of the H2NO Pro Cart Bag. 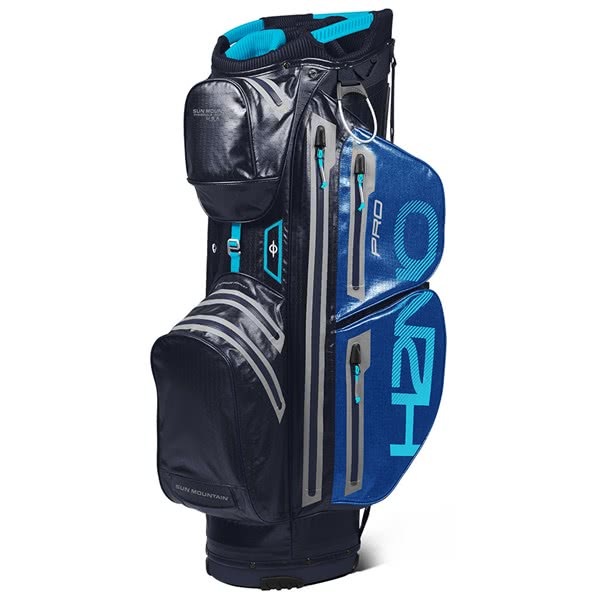 All nine pockets are forward facing to ensure easy accessibility when on the move plus they are configured in such a way that you can maximise storage. 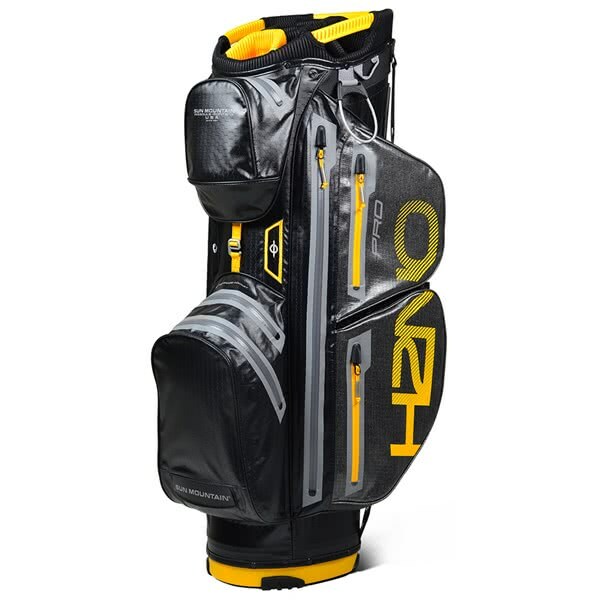 Sun Mountain have created an oval shaped 10.5” top that features a 14-way, full length divider system that will provide excellent club management, organisation and prevent grip crowding at the base of the bag. 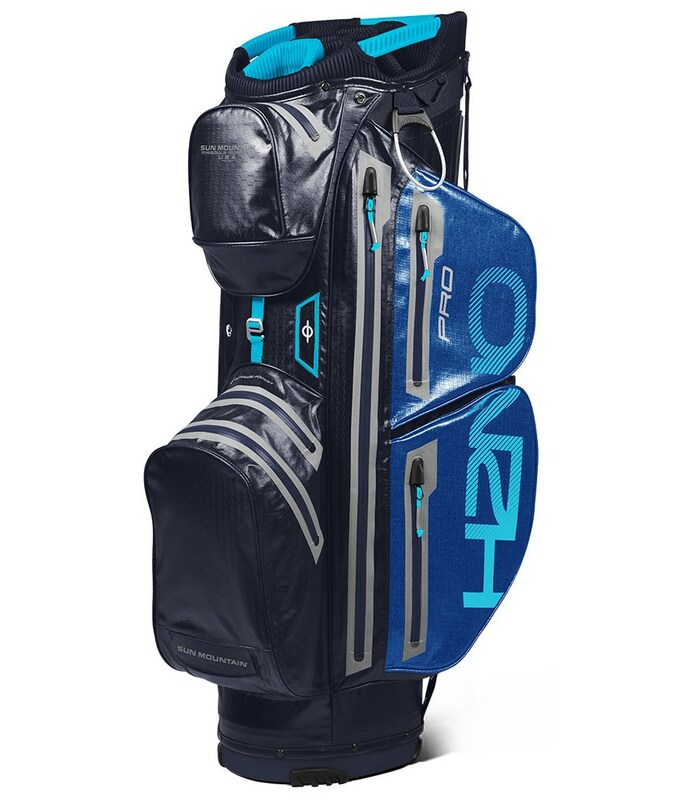 The spacious top also features integrated grab handles as well as lift assist lip under the ball pocket to aid lifting and loading. 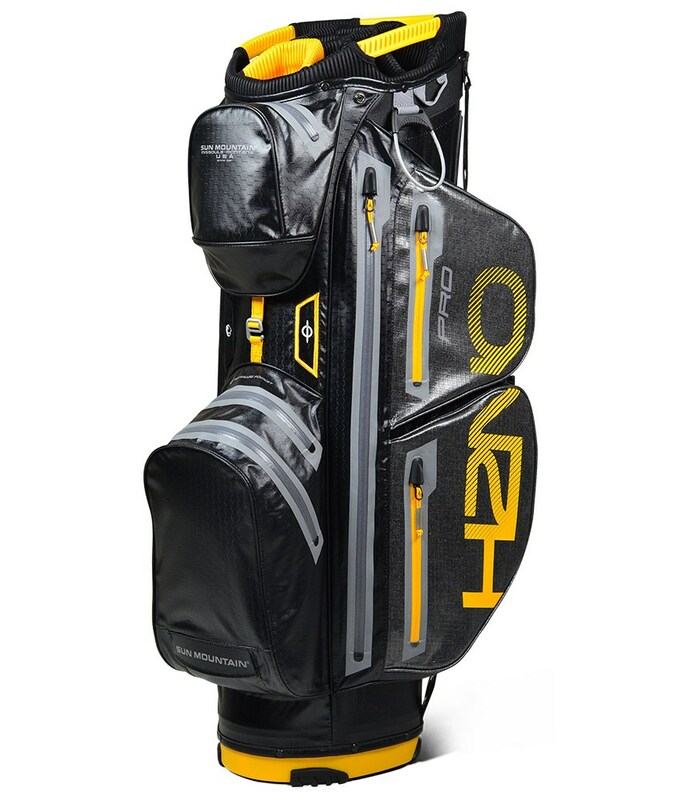 A lightweight construction made from a new TPU coated waterproof fabric brings the empty weight in at 2.5kgs. 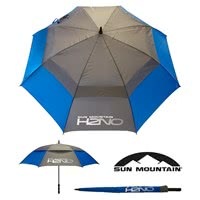 Waterproof zippers have been added to all nine pockets to provide the ultimate protection against the elements.